This anthology series features a different story in each episode. The stories tend to be darkly dramatic and lean into the horror and thriller genres. Although the plots vary widely, the perils of the intersection between humans and technology are a recurring theme. The series debuted on the UK's Channel 4 but quickly made the transition to Netflix. A thrill-seeking globetrotter visits Britain, hooks up with a woman and tests the latest in video game technology - "a device as mind-bendingly sophisticated as it is terrifying." A military story set in a post-war future. A rookie soldier is posted overseas, protecting frightened villagers from an infestation of vicious feral mutants alongside fellow soldier Raiman. They're hoping some new technological advantage will save them. When withdrawn 19-year-old Kenny stumbles headlong into an online trap, he is quickly forced into an uneasy alliance with shifty Hector - both of them at the mercy of persons unknown. She thinks the genre is destroying the planet. It's a good time to be a fan of horror TV. High-quality, scary TV series are everywhere these days, and new episodes of one of the best, scariest series hit Netflix at the end of this week. Black Mirror is currently available to watch and stream on Netflix, Channel 4. 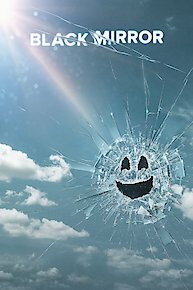 You can also buy, rent Black Mirror on demand at Netflix online.